Purchasing of stationery packs will no longer be available at school. Parents now can purchase online or go to the OfficeMax Store directly. We’ve found this is the easiest way for you to purchase your child’s requirements. Simply search for our school – OUR LADY STAR OF THE SEA SCHOOL (HOWICK), select your child’s ROOM NUMBER and follow the instructions on the website. Buying through OfficeMax MySchool also earns School Rewards* for our school which we can redeem for much needed educational supplies, equipment for our classrooms or for students in need. Price Match Promise – find a lower price and OfficeMax will match it*. Free Delivery – for orders over $57.50*. Plus choose delivery to home or work at a time that suits you in the holidays. 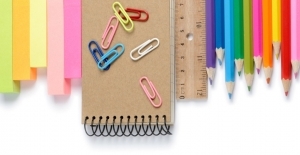 Families can COMBINE their stationery needs even if your children attend different schools. To obtain School Rewards for our school choose Our Lady Star of the Sea School as your first option. The School Rewards go only to your first school option. Shop Your Way – ONLINE at myschool.co.nz, freephone 0800 724 440 or in an OFFICEMAX STORE – 5 Ronwood Ave, Manukau, Auckland 2104. Multiple Payment Options – including secure internet banking, credit/debit card or pay by cash in an OfficeMax store. Religious Education scrapbook, R.E. digital resource, cultural performances and consumables and Mathletics will now be invoiced separately by Our Lady Star of the Sea School in January 2017, payable by 10 February 2017. * Conditions apply, see www.myschool.co.nz for details. If you have any questions about OfficeMax MySchool please don’t hesitate to contact 0800 724 440 or email the school at [email protected].